Just 10 minutes away, State Park Marina is the ideal choice for lake fun. They've got everything on the water including boat rentals, wave runners, para-sail, scuba diving, bass fishing, and daily cruises on the Spirit of America, a 48 ft. sailing catamaran. Located just down Highway 86, you'll find all of your boating and lake needs in their newly renovated Marina Store equipped with boating supplies and accessories, fishing tackle, snacks, beverages and more. Formerly Gaige's Marina. 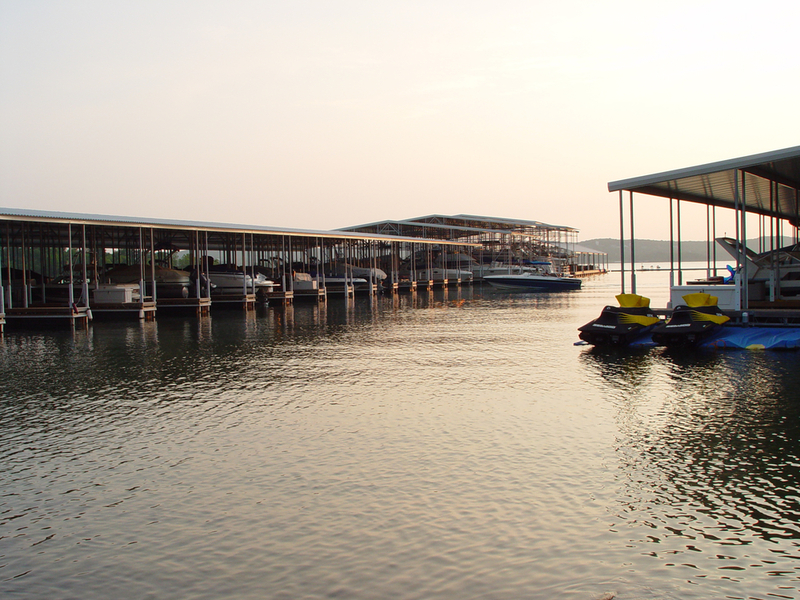 Centrally located on Table Rock Lake, is the largest full-service marina center. It’s complete with ski boat, pontoon, wave runner, and houseboat rentals. A full service marina offering numerous amenities including a wide selection of boat rentals stalls, and jet ski's. There's a small gas station, a tackle store, complete with live bait, fishing licenses, and snacks. A full service marina on beautiful Table Rock Lake. Conveniently located at Long Creek, CreekSide Marina is just minutes from highway 65 just South of Branson. For more information and to book your boat. Family owned and operated in Branson on Lake Taneycomo. They have boat rentals & fishing guide services. If your a first timer on Taneycomo, it’s a great way to learn the lake, and catch fish. If your a first timer on Taneycomo, it’s a great way to learn. Lilleys’ Landing Resort and Marina in Branson, Missouri, may be just the spot you’re looking for to enjoy both the tourist sites and the restive Ozarks waterfront along Lake Taneycomo. Take your family aboard the magnificent Showboat Branson Belle and journey past beautiful Ozark Mountains on Table Rock Lake. On your 2-hour lake cruise you'll experience fabulous Branson dining and the best in Branson shows. See Table Rock Lake & dinner show on the Showboat Branson Belle. Reservations at 800-775-2628.